gigs at additional venues. And then, at 18, Quintino is discovered by house music mastermind Laidback Luke. The DJ issoimpressed with Quintino’s precision and unrivaled ability behind the Turntables that he decides to mentor the emerging artist. of ‘Epic’ in 2011 that catapults to platinum, almost touching the 17 million views on YouTube. 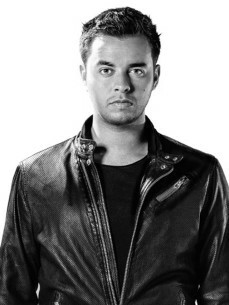 That same year Quintino also works closely with his friend Afrojack to produce hit tracks like ‘Selecta’. Meanwhile, Quintino expands his activities. In August 2013 he launches his global radio show SupersoniQ Radio on worldwide station SiriusXM's Electric Area. By now, the show has proven to be a smash hit and is delivered to the masses through iTunes, SoundCloud and YouTube. and his remix of R3hab & Trevor Guthrie’s hit record ‘Soundwave’ gracing the charts Quintino’s presence within the dance industry is only getting stronger. act to acknowledged headliner. Following this trend is his debut in the highly acclaimed DJ Mag Top 100, entering the list at the 86th spot. His tour schedule still exists of more than 200 international gigs a year, Quintino is not about to slow down.